Ever wanted to have a beautiful illustration of a lemon in your home? If you did, then this tapestry based on the work of by Pierre-Joseph Redoute will fulfil this role. 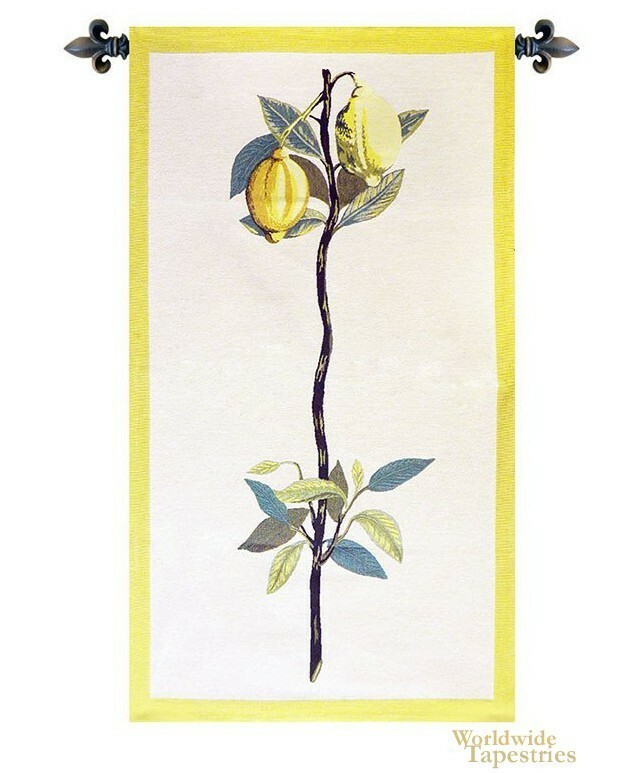 This tapestry 'Redoute Lemon' shows a branch of the lemon tree with 2 lemons to illustrate the fruit and the leaves. Redoute was a Parisian artist who had a special interest in plants and flowers, but he was also a botanist which helped him to marry the role of art and science when it came to his works. He values accuracy and precision as well as an artistic view of his subjects. He has published over 2100 prints of plant illustrations in his lifetime, and this included species which had never been graphically documented before. This tapestry is backed with lining and tunnel for easy hanging. Note: tapestry rod and tassels, where pictured, are purchased separately.